Chinese Cuisine lends itself to buffets well. 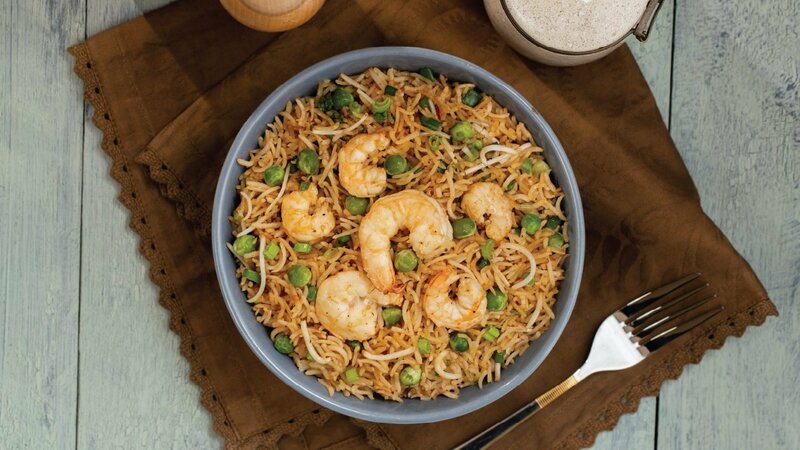 Try out our version of fried rice with spricy prawns that will leave your diners gushing for more. Pour the beaten eggs into a hot, lightly greased frying pan and cook for 1-2 minutes until eggs are set. Place omelette onto a chopping board, cool, roll up and slice thinly. Pat prawns dry with paper towels. Heat sesame oil in a wok or open deep frying pan. Add prawns and cook until they turn pink. Set aside and keep warm. Add spring onions, garlic, green chillies and stir-fry over medium heat for 1 minute. Add Knorr Chilli Garlic Sauce, Knorr Chicken Stock Powder dark soy sauce, fish sauce and Knorr Lime Seasoning Powder. Return the prawns to the wok with the cooked rice, green peas and bean sprouts and toss together in the sauce. Continue stir-frying until the rice and prawns are hot. Carefully stir through the sliced omelette.